ELEY match biathlon training round. The iconic flat nose projectile of ELEY match biathlon is one of many innovations pioneered by ELEY engineers. 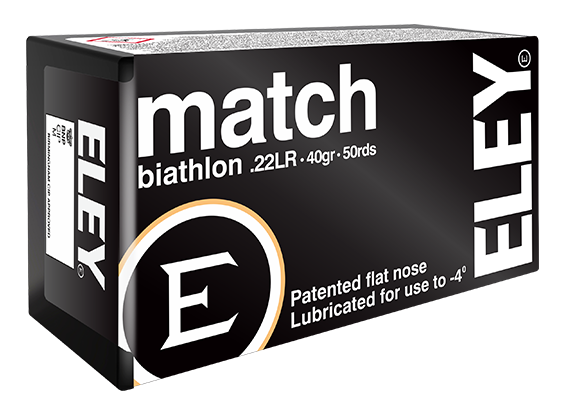 ELEY match biathlon has some of the key features of ELEY tenex biathlon making it the perfect training round. As it cuts through the air its revolutionary design pulls the centre of pressure forwards, aerodynamically stabilizing the projectile and increasing accuracy at the target.